Does the word Roero mean anything to you? How about Gattinara, Boca, or Spanna? If they don’t ring a bell, how do you like the sound of ‘great value nebbiolo’? It pays to expand your horizons if you’re a fan of Piedmont’s most admired grape. Chances are, you associate nebbiolo with the Langhe hills south of the Tanaro River, where lordly Barolo and Barbaresco reign. But it would be a mistake to fixate on this small region. Nebbiolo extends to the northern reaches of Piedmont, stretching across a crazy-quilt of soils up to Lake Maggiore and the Alps. Being a site-sensitive grape, these nebbiolos show as many styles as a runway model, going from fruity casual to alpine austere. It’s time to grab a map and journey north. As tasting rooms go, Az. Ag. Matteo Correggia has some unusual props, such as the fossilized seashells that the owners’ children dug up on their property. I’ve come to this Roero estate to learn the history of the appellation, Matteo Correggia being the pioneer of quality wine on the northern side of the Tanaro. Little did I expect my history lesson to go back 140 million years. Ornella Correggia flips open a 4th grade school report filled with colored pencil drawings of coastlines and marine life, created by her son Giovanni (now 21 and an enology school grad). She turns to a map showing the sea stretching all the way to Turin. “Up to now, the Langhe and Roero are the same: underwater,” says the slender, raven-haired widow, who has been running the winery since Matteo’s untimely death in 2001. She turns to another map: It’s 15 million years ago, and the Langhe hills and Apennine mountains now protrude from the sea, while Roero remains submerged. Bingo. That’s why nebbiolo from opposite sides of the Tanaro tastes so different. I’ve always felt Roero to be the most accessible of all nebbiolos. Wines like Matteo Correggia’s crowd-pleasing Roero ($20) are generous in their fruit and have soft, plush tannins, while Langhe nebbiolo can be withholding and astringent, especially when young. Historically, Roero lacked the proselytizers that Barolo had. There was a medieval feudal lord, Count Roero di Monticello d’Alba, whom the region is named after—along with its DOCG wines, Roero (red) and Roero Arneis (white). Documents in the archives show that nebbiolo was cultivated here at least since 1301, when the family purchased some land paying with “good nebbiolo wine.” Today the wheels that adorned Count Roero’s coat of arms are integrated into the logo of the Enoteca Regionale del Roero. But the Count had no bully pulpit. In contrast, the King of Piedmont, Carlo Alberto, made Barolo wine in the 1800s, as did Italy’s first Prime Minister, Camillo Benso, Count of Cavour, and both gave it pride of place at diplomatic dinners. While Barolo was acquiring its epitaph “the king of wines and wine of kings,” Roero slipped into the shadows, becoming a contadino wine made by farming families, no more prized than their peaches or grain. The person to change all that was Matteo Correggia. The son of a traditional farmer, he had a knack for the vine—something he discovered when his father gave him one row of vines to care for as a child. Matteo inherited the farm at the tender age of 23, but that family tragedy freed the self-taught winemaker to set his own course. He traveled to Burgundy with his buddies from Barolo, Elio Altare and Roberto Voerzio, and each became influential iconoclasts, smashing old farming habits with new, radical ideas about green harvest, barrique aging, and single-vineyard cru. For many years, Matteo toiled alone in Roero. But slowly other quality producers followed his footsteps, and now 41 wineries are in the Roero DOCG consortium. Like many, Matteo Correggia’s largest production is the white Roero Arneis. But it’s the nebbiolo and barbera cru that are their most coddled babies. And that takes us back to geology. A set of those 4th grade drawings show the Tanaro diverting course 200,000 years ago towards a side stream. As the land collapsed, a torrent carved out a 10-mile gorge, called Le Rocche, and overturned soils, exposing older marlstone underneath. Local legend says the devil did it. If so, Matteo Correggia has him to thank for the estate’s lovely single-vineyard nebbiolos. Here again, soil makes the difference. Val dei Preti ($30), first produced in 1987, comes from a sunny southern slope atop gray marlstone. The prized Riserve cru, Ròche d’Ampsèj ($39), packed with cherry and leather notes, instead grows atop more ancient yellow marl, exposed by the rushing cascade. Both possess more oomph than the basic sandy-soil Roero, revealing a complexity and tannic backbone that promises long life. The ancient Romans planted vines here. The nebbiolo grape might have originated here. But Alto Piemonte (Upper Piedmont) is the most obscure region making great nebbiolo wine. North of Turin, this sub-alpine zone has an even crazier patchwork of soil types. There’s crumbly moraine left by retreating glaciers, volcanic basalt, maritime swaths close to the Sesia River, and acidic purple porphyry. “We have very little in common with the Langhe except the grape varietal,” says Marina Olwen Fogarty, fifth generation at Antonio Vallana e Figlio. “When you walk in these places, it’s like Canada. You see deer, pines, mountain vegetation.” Locals’ reference point is Monte Rosa, the Alp’s second highest peak which looms close by, and the area’s lakes, woods, and mountains factor into its microclimates. 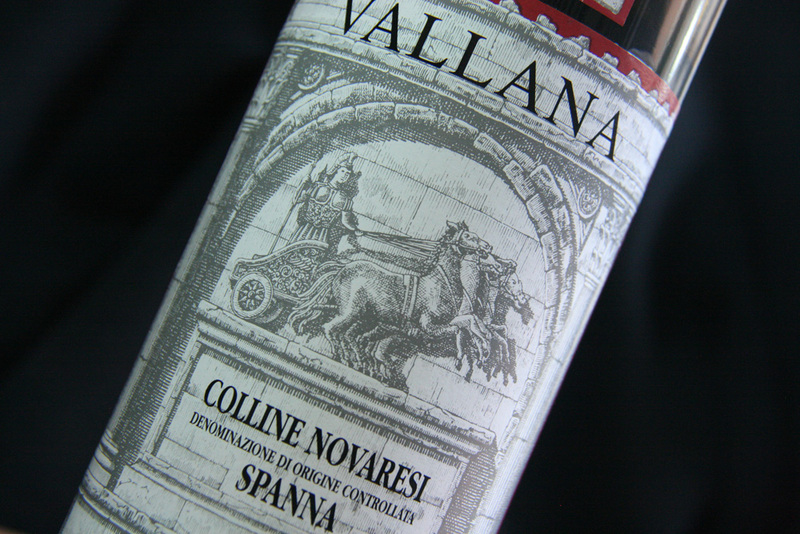 The Vallana name struck a chord with my older peers in the Wine Media Guild, who had admired their multifarious nebbiolos in the 1960s and were delighted to see Vallana making a comeback after several deaths in the family derailed the winery for a few decades. Their praises prompted me to pay a visit. As it turns out, Vallana is precisely the place to go to understand the layout—and promise—of northern nebbiolo. But his eldest son surpassed him. “Bernardo was the one who was passionate about it and lucky enough to have a legendary palate,” Fogarty continues. He was the first to discern the differences between Alto Piedmonte’s subzones and bottle them separately—a radical idea in the 1950s, when everything was simply lumped under the name “spanna,” the local word for nebbiolo. Today these regions are recognized with DOC or DOCG status: Boca, Gattinara, Ghemme, Sizzano, and Fara—all municipalities—plus the regional subzones of Bramaterra and Lessona (near Biella), Colline Novaresi (the hills near Novara), and Coste della Sesia (on the western bank of the Sesia River). We then delve into Gattinara ($30), the largest and most famous subzone since the 1500s, thanks to one Cardinal Mercurino Gattinara, chancellor to the Holy Roman Emperor Charles V. “Being at the court of Charles V was basically like being the manager of Barack Obama’s cellar,” Fogarty explains. Gattinara also happens to produce the most tannic and powerful nebbiolo of this region. Tasting backwards to 1986, they become increasing silky in texture and enticing in perfume, yielding violet, earth, and tar. “They don’t challenge; they invite,” Fogarty states. Better yet, take a trip there. But even the armchair traveler can have an excellent adventure with a mixed case of nebbiolo from Roero and the sub-Alps. I promise, these are wines you’ll want to revisit. Published in the October/November 2013 issue of Tastes of Italia magazine. Psst: Want to visit Roero? Check out Xtreme Piedmont, a wine tour offered by my company La Dolce Vita Wine Tours.